Health and Art Links KB Distributing is now a Nevada Representative for Balance 7, a liquid supplement designed to balance the Alkaline level of your body to 7.4. This is your body's optimum requirement for good pH health, which allows your body's natural functions to work their best. Balance 7 empowers the body's natural defense against diseases. KB Distributing is also the Nevada Representative for BIGGER BETTER CROPS which manufactures the Hydrogen Activation Unit (HAU). The Hydrogen Activation Unit is a liquid conversion process that changes the composition of ordinary water to enhance the "effect of polarization" and hydrogen bond formation. This results in less water usage and less fertilizer needs while enhancing Loam and Food Crops, as well as other agricultural crops. Our Products eliminate acne and skin blemishes, promote luxurious skin and healthy nails, prevent hairloss, are ideal for safe and effective weight loss, promote your body's health, and much, much more. All of our Products contain U.S. FDA Approved Herbs. Visit our Herbal Care Products Today. A World Leader in Organic Herbal Products and Herbal Athletic Products. All of our products are made from 100% Natural Herbs. Our Herbal Athletic and Body Building Health Products are in a class by themselves. Hiorac Antioxidant not only contains antioxidants, but also the means to encourage fast elimination of cell waste. The body is like a country. Its people are the cells. Cells are formed from much smaller units called atoms. Atoms- like us all- like to be stable. A stable atom is one that has an equal paring of satellites- two is ideal. Just like a man and a woman. Our Muscle Builder helps muscle growth with the inclusion of natural safe plant hormones that have an anabolic effect. Our Triple-S helps prevent excessive Lactic Acid build up, enabling muscle tissue to gain it's full potential of STRENGTH, ENDURANCE, STAMINA & SPEED. It increases your speed, strength, endurance, while it builds muscles. Great for all sports activities. Visit our Herbal Care Athletic Products Today. KB Distributing is the U.S. Representative and Distributor for Herbal Care New Zealand Ltd.
Our Equine Herbal Products makes your Horses Healthier by increasing their Muscular Growth & Strength, Endurance, Speed, and helps to maintain an optimum metabolic rate, enhancing every aspect of performance. And much, much more. Try our Endurance, Muscle Builder, and Triple-S Tye Up on your slowest and weakest 6 month old, 1 year old, and/or 2 year old horses for 1-2 months. Watch them become Faster and Stronger. Watch them become your fastest and strongest horses. Watch their Value Increase. All Equine Herbal Excellence Product's include Antioxidants, Oratates, Asparates & Colloidal Minerals in Homeopathic proportions. Visit our Equine Herbal Care Products Today. 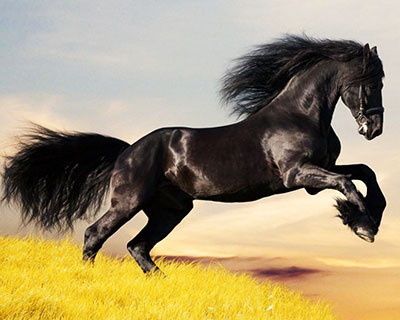 KB Distributing is the U.S. Representative and Distributor for Equine Herbal Laboratories. Our Herbal Caanine Products makes your Canines Healthier by increasing their Muscular Growth & Strength, Endurance, Speed, and helps to maintain an optimum metabolic rate, enhancing every aspect of their performance. Visit our Herbal Canine Care Products Today.